Industry professionals and everyday Branford Jeep enthusiasts alike have been excitedly awaiting the arrival of the 2020 Jeep Gladiator, and we’ve almost made it! We’re told the Gladiator will be officially released this Spring 2019. To hold you over until then, take a look at everything we know so far about this unique open-air pickup truck. Performance: The 2020 Jeep Gladiator certainly doesn’t skimp on towing capabilities, with a maximum towing capacity of 7,650 pounds and a Best-in-Class maximum payload capacity of 1,600 pounds. Convenience: For your convenience, the Jeep Gladiator is equipped with a three position tailgate that allows for easy access from three different angles. Technology: Stay connected when you head off-road in New Haven with the help of Apple CarPlay®/Android Auto™, and turn your campground into a concert hall with the fully removable Bluetooth® wireless speaker. 4×4 Features: We couldn’t call it a Jeep truck if it didn’t come equipped with Trail Rated® off-road features! Your Gladiator will have high and low range, heavy-duty Dana 44 front and rear axles, and when you opt for the Gladiator Rubicon, you’ll get standard FOX Shocks, 33-inch all-terrain tires, and much more. One of a Kind Open Air Design: Like the Wrangler, the Gladiator has a removable soft or hard top, and you can even fold down the windshield to fully enjoy the fresh air in Milford. The 2020 Gladiator is currently the only open-air pickup truck in the industry. 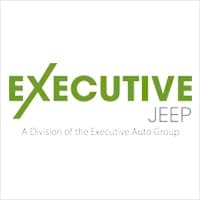 Schedule Your Test Drive at Executive Jeep! If you want to be among the first to know when the 2020 Jeep Gladiator arrives at our North Haven dealership, contact us today! We’ll let you know as soon as it’s available so you can head on over for a test drive – just be prepared to turn some heads while you’re out. If you simply can’t wait for the Gladiator, we encourage you to take a look at our new Wrangler inventory. Check out how we can help you customize your Wrangler while you’re at it! What Are the Benefits of Leasing vs. Buying?